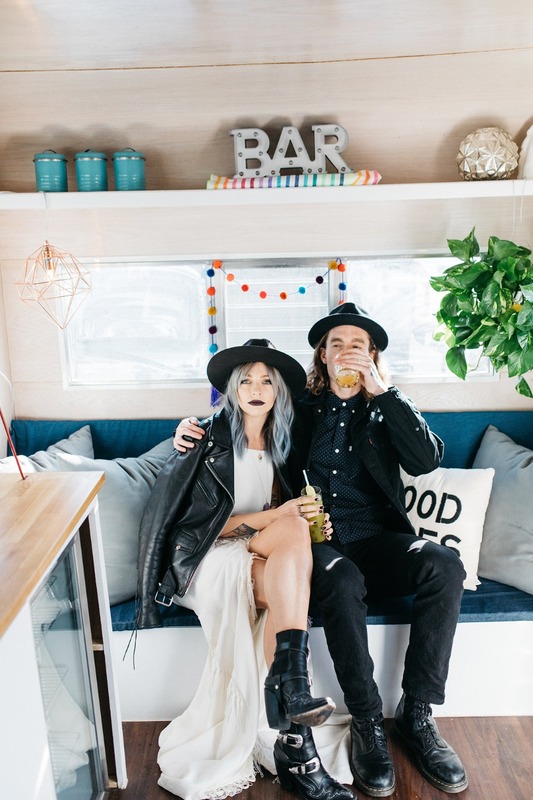 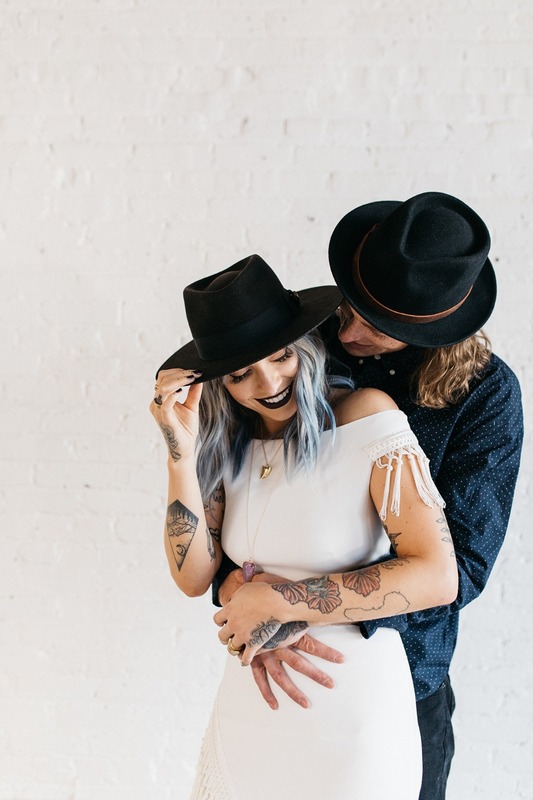 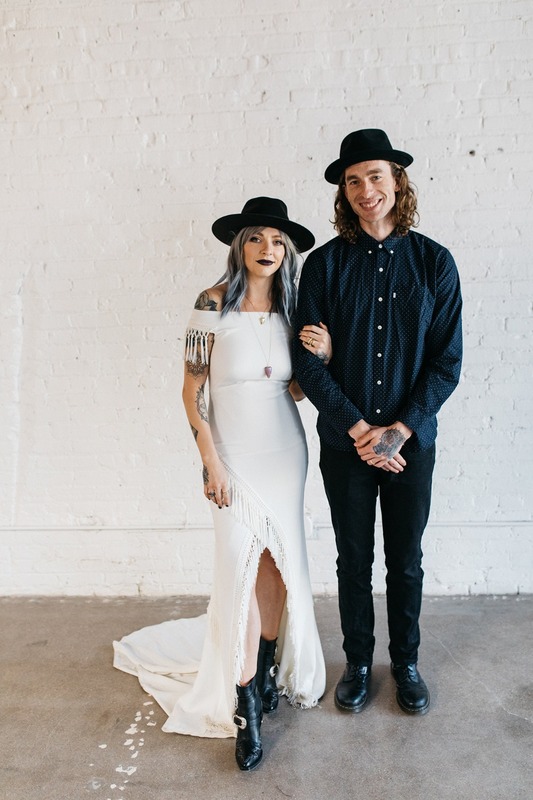 Our hats off to this edgy glam shoot styled by Kaylee of Wedfuly and shot by the talented Anna Boardman! 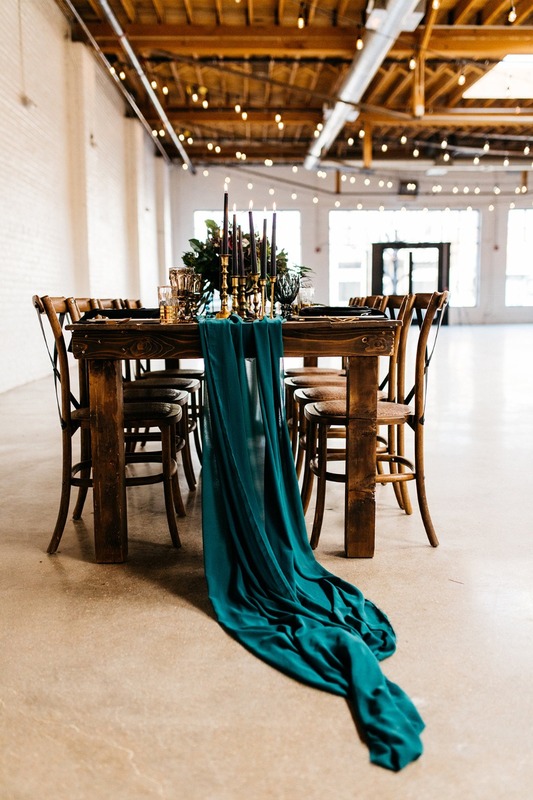 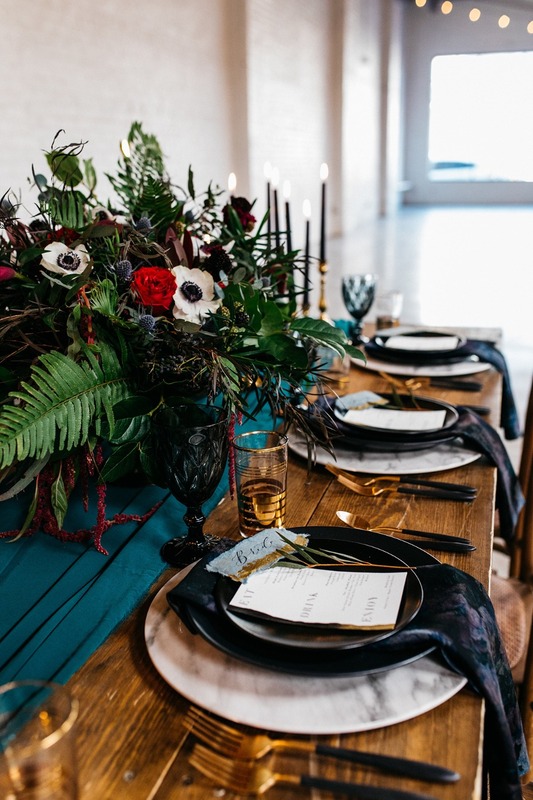 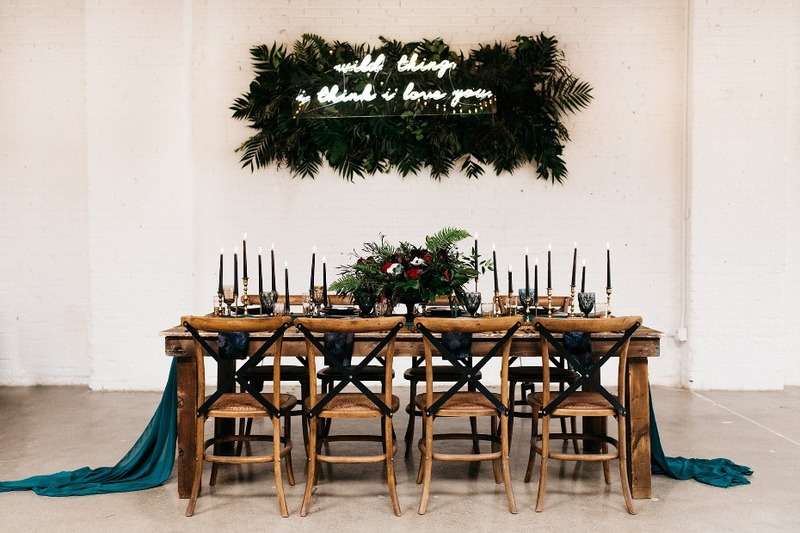 Along with a talented team of vendors, their vision of an glam + edgy wedding came together flawlessly at the Skylight event space in Denver, CO. 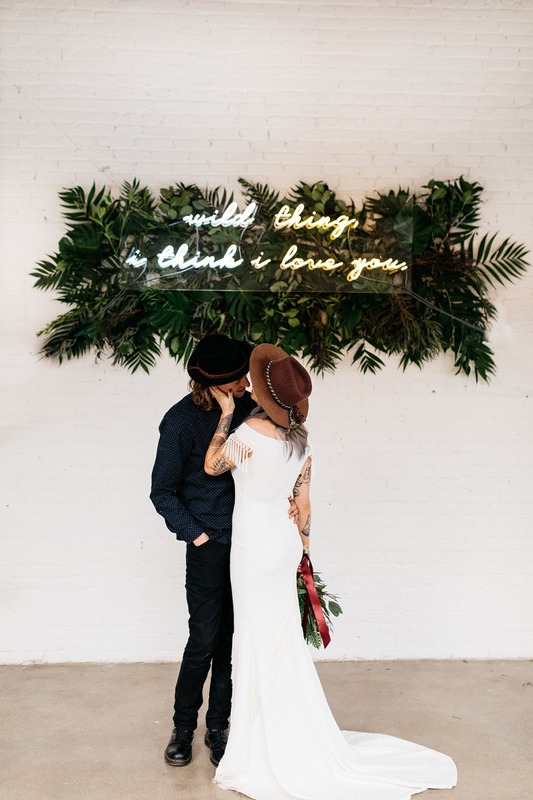 This entire shoot is filled with steal-worthy ideas that we hope will inspire you for your big day. 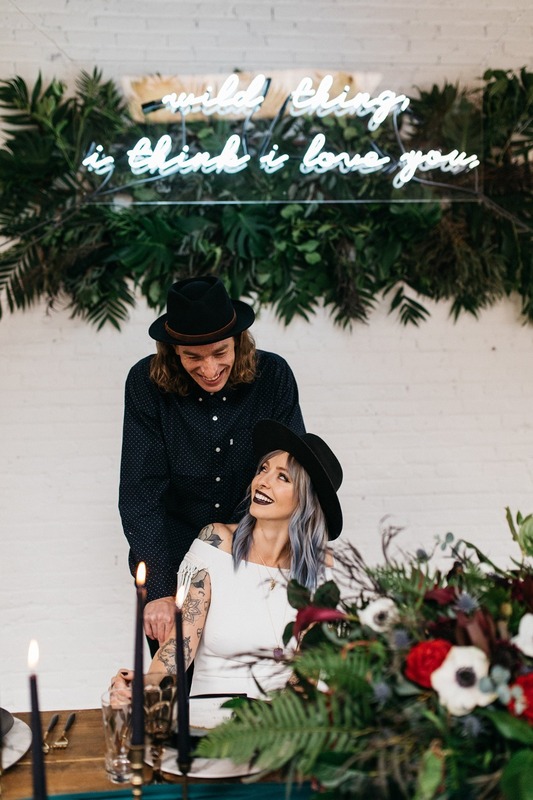 From the moody candlelit tablescape with pops of gold to the neon sign backdrop, get ready to pin your heart out. 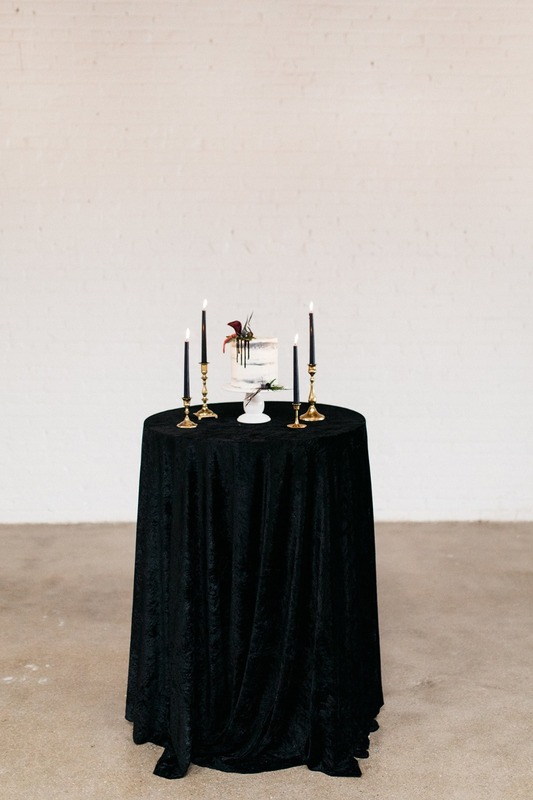 Also, don’t miss the full gallery after to see this shoot in its entirety. 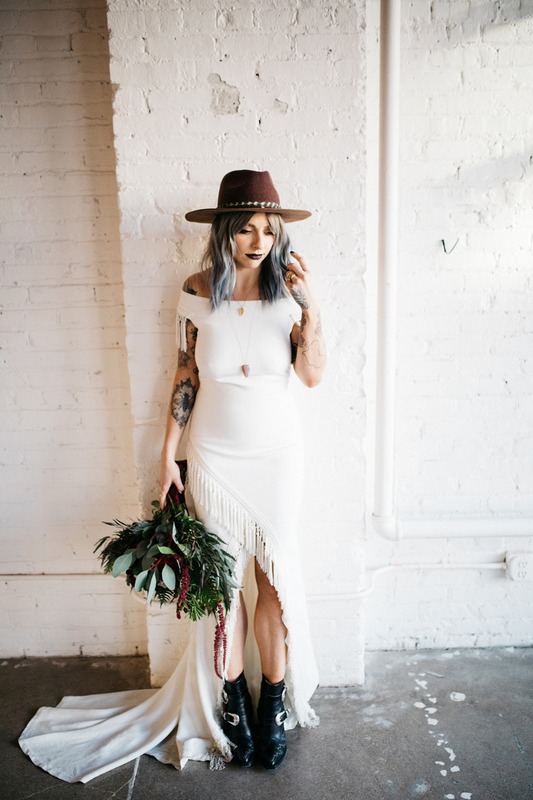 From Wedfuly: This shoot had a little bit of everything! 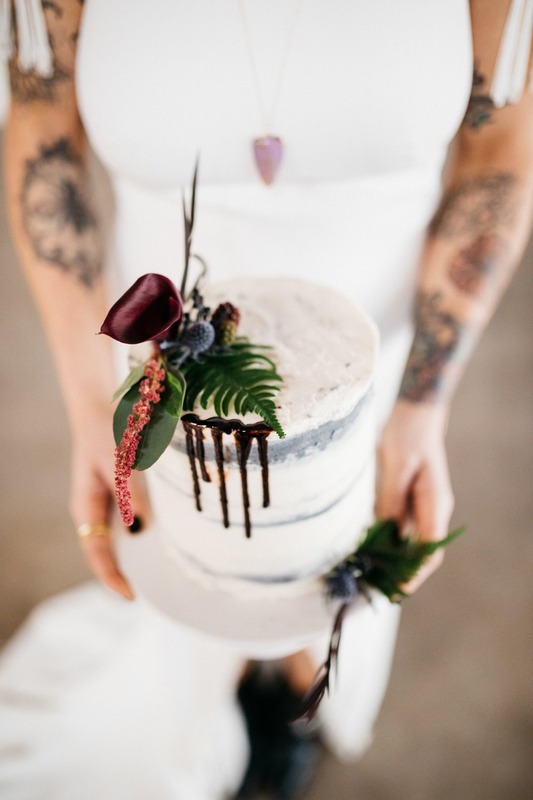 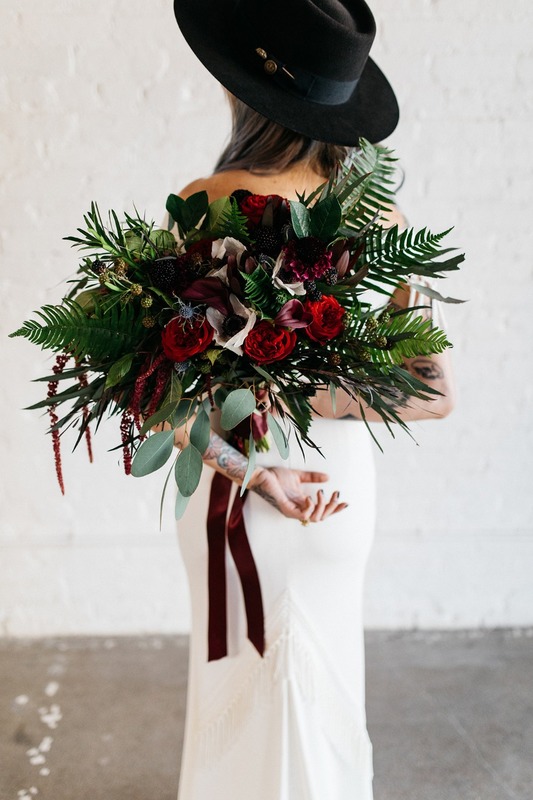 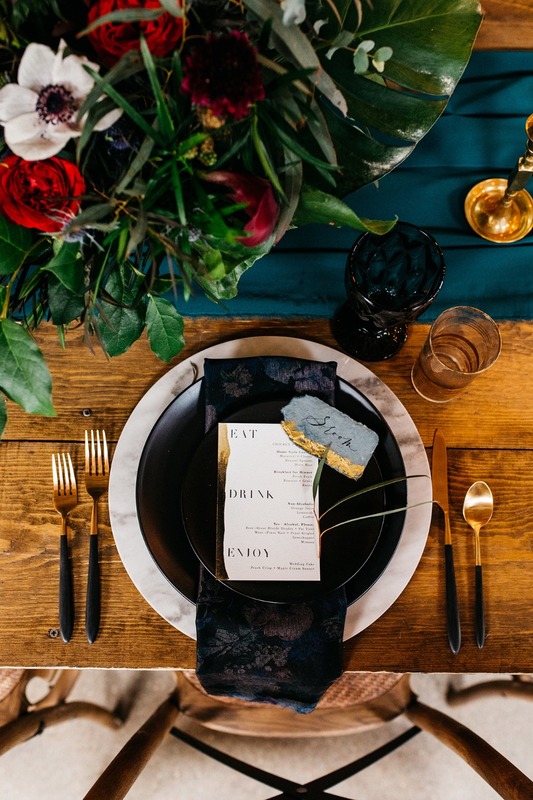 From Little Bites Bakery to Little Shop of Floral, this wedding shoot is the perfect mix of glamour and edge. 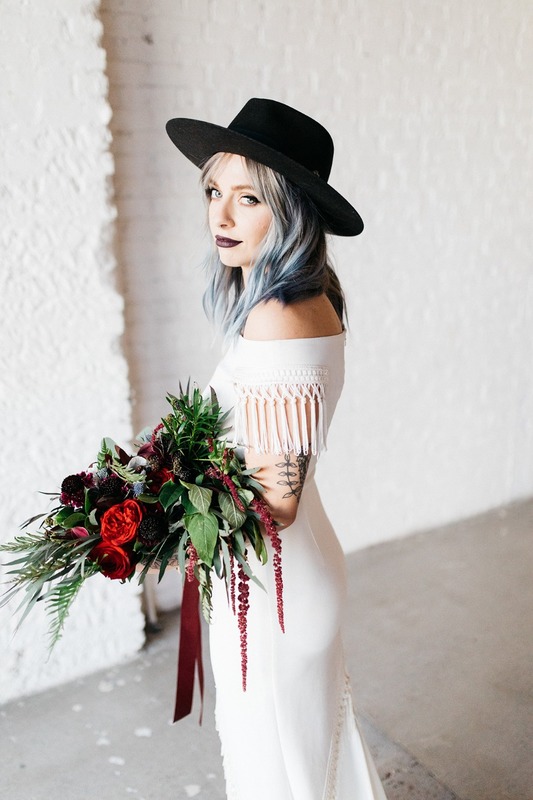 We started with the bride, Grace, and styled it to fit her unique edgy look. 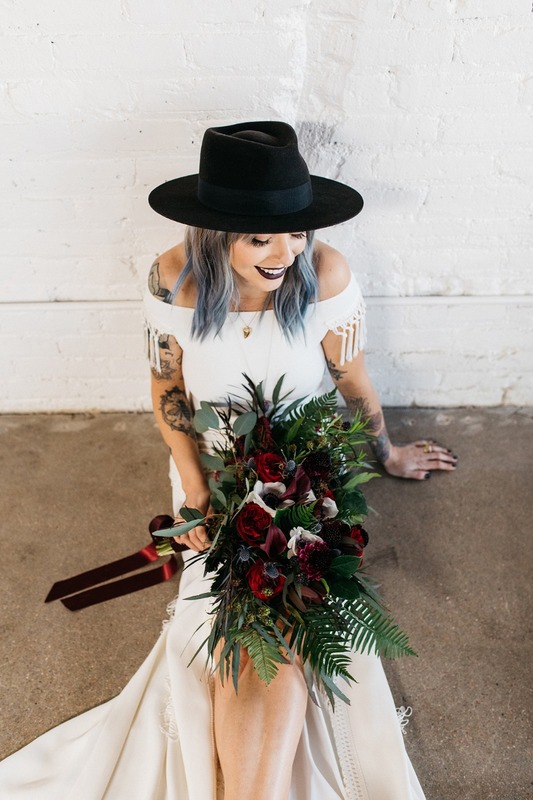 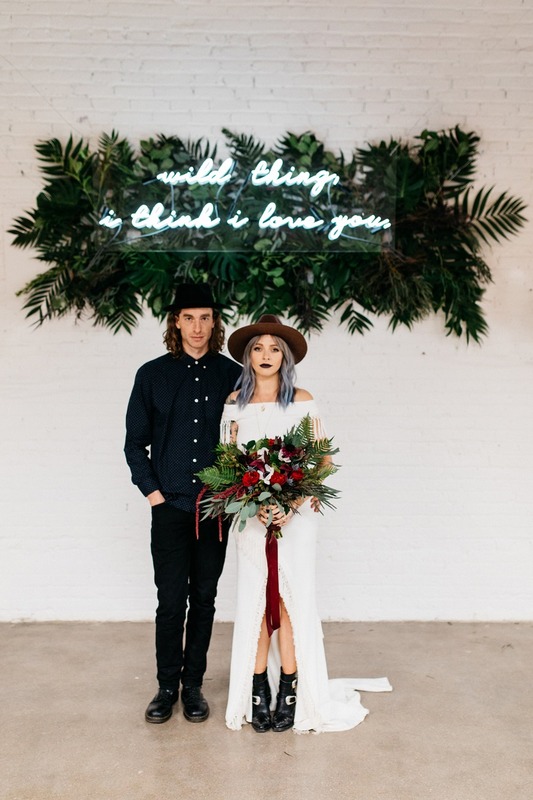 Grace is also a hair stylist so she did her own hair and makeup-- "I was in love with every detail, the flowers, dress, decor, drinks, the local companies that they collaborated with!" 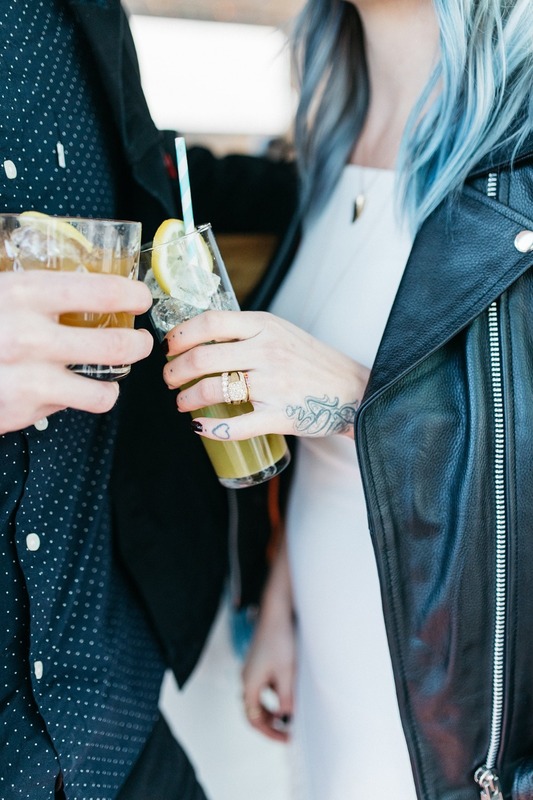 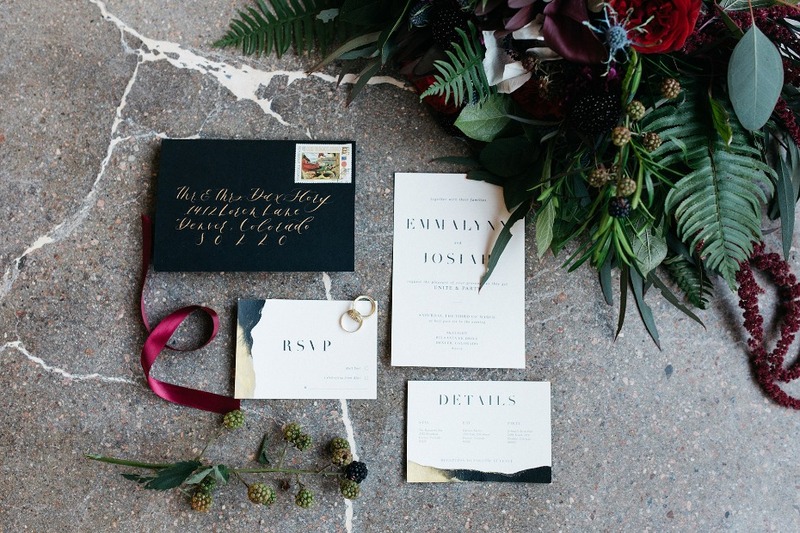 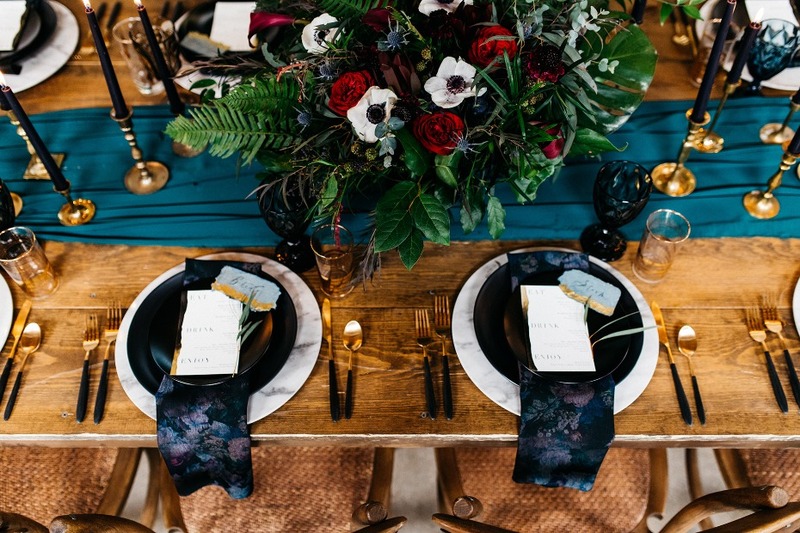 Styled by Wedfuly planner Kaylee and shot by the talented Anna Boardman. 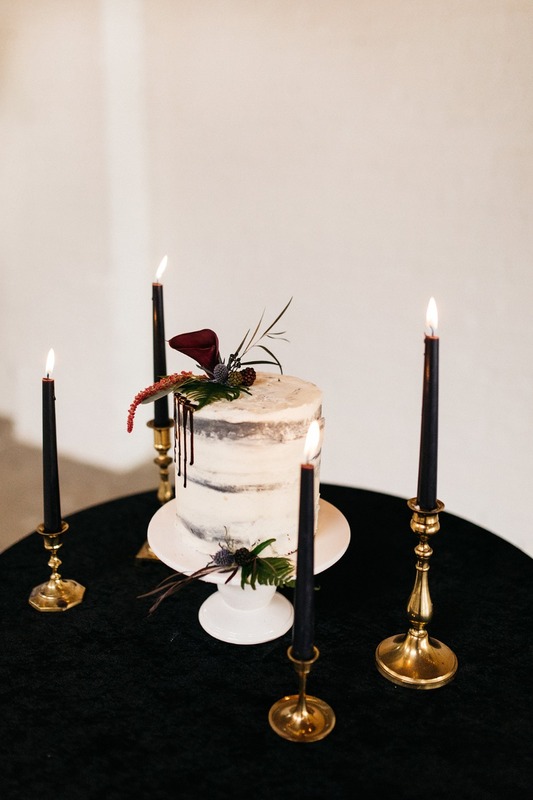 Wedfuly is an online wedding planning platform that has real planners behind the computers, making the process personal and efficient.